After spending the weekend in Bern, it was back to Zurich for work. 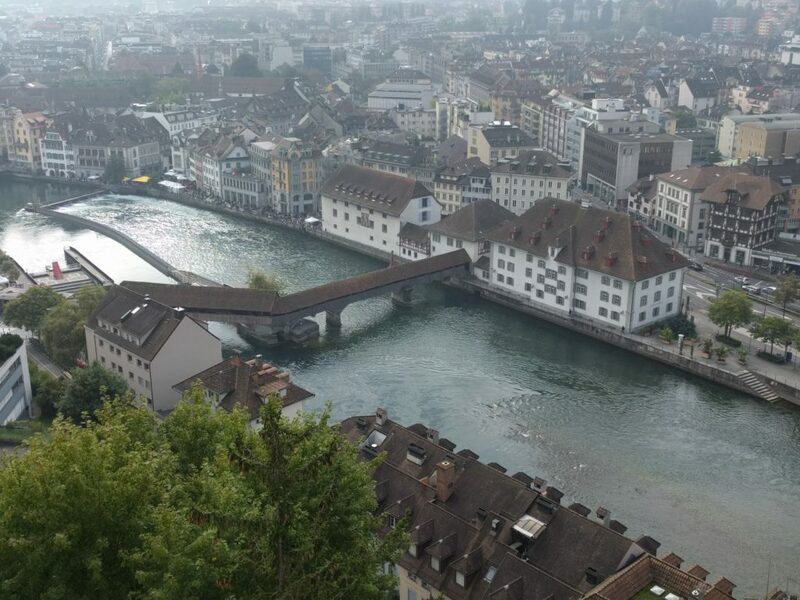 I was extremely busy in Zurich, so I didn’t have much opportunity to see the city. 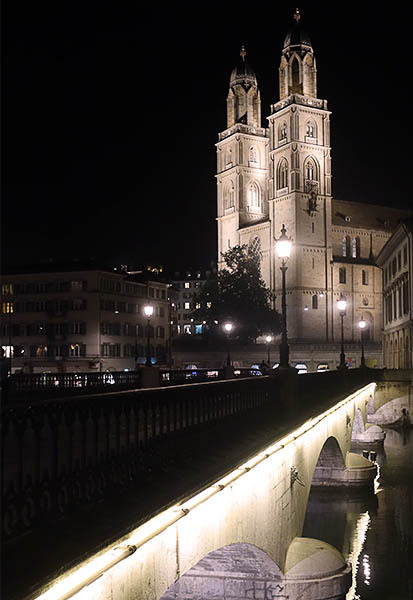 Like the rest of Switzerland, it’s very safe, so I was able to stroll late one night, and I returned briefly at the end of my trip, since I was flying out of Zurich. The city has achieved a reputation as boring, and it’s true that it’s not as exciting as Munich or Rome or other big cities. That said, it’s very livable (except for the high cost of living). The city has a few major waterways, and a cute old town with some very impressive churches. 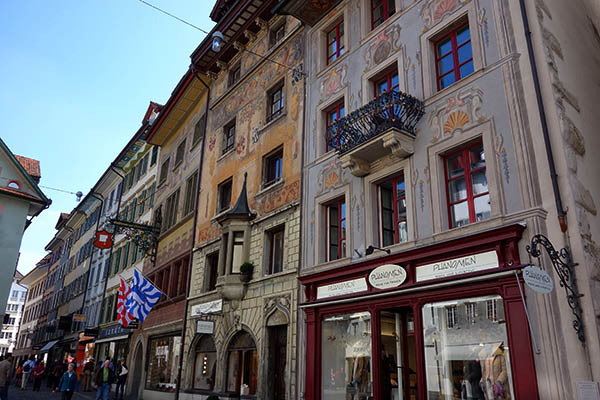 It does have something a sterile feeling, lacking the charm of other Swiss cities. But I think it’s a good one to live in: large with good public transit, big enough to attract good music acts, directly next to a large, central, European airport, and with a reputation that’s unlikely to charm expats. As you might expect from someone who mostly experienced the city while everything was closed, the big highlights were the churches, and my favorite exterior was the Grossmunster Cathedral: huge (Grossmunster = big minster), Romanesque (my favorite style), and surrounded by medieval-feeling streets, the courtyard also had a great view of the Limmat river (a picture is at the top of this post). 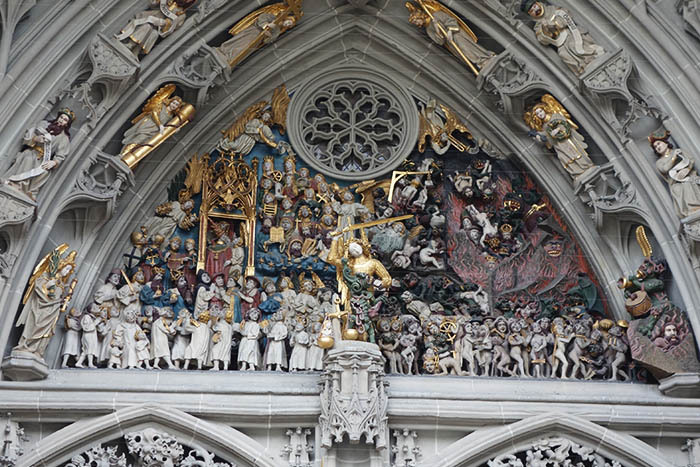 However, the best interior was the Fraumunster church, which had installed a set of stained glass windows designed by Marc Chagall in 1970, when he was 86 years old. Personally, I feel like the internet and computers do justice to most paintings: it’s a similar experience in person and on a screen, but that’s not the case with stained glass, and here the windows were oriented to catch a lot of sun; each of the five windows was mostly one color, because they’re in the choir – tall with little floorspace – they tower over you. Really stunning. Pictures weren’t allowed, and wouldn’t convey the beauty even if they were. 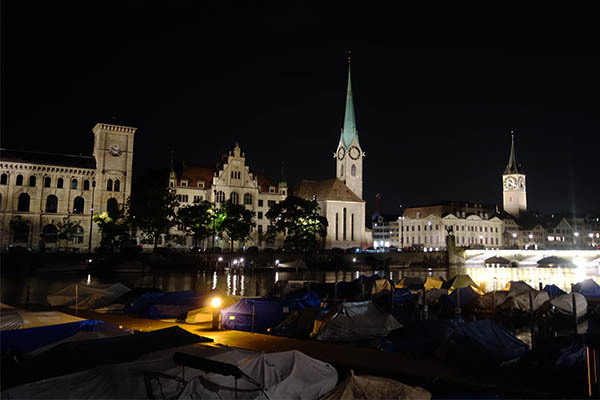 Overall, the city still had an elegance and charm, and though I wouldn’t choose it as a destination, you could do a lot worse than overnighting here. The weird hotel I stayed at. There’s a bathroom past that glass, and then the outdoor hallway. By the way, the hotel I stayed at – one of the hotels recommended by the company website – was really weird. It was a ’boutique’ hotel, and each of the rooms had one wall that was just frosted stained glass, and this wall was next to the bathroom. 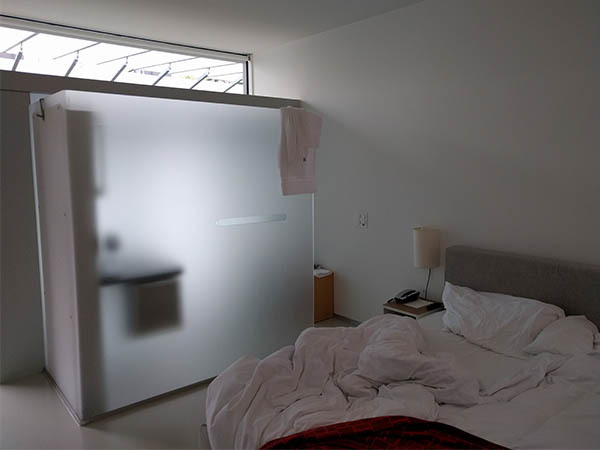 So, in the bathroom, you had the distinct sensation that people outside the room knew exactly was going on; it was the same with the wall between the bathroom and the bedroom. With only one person, it was just a bit weird. This entry was posted in Switzerland on April 24, 2017 by rob. 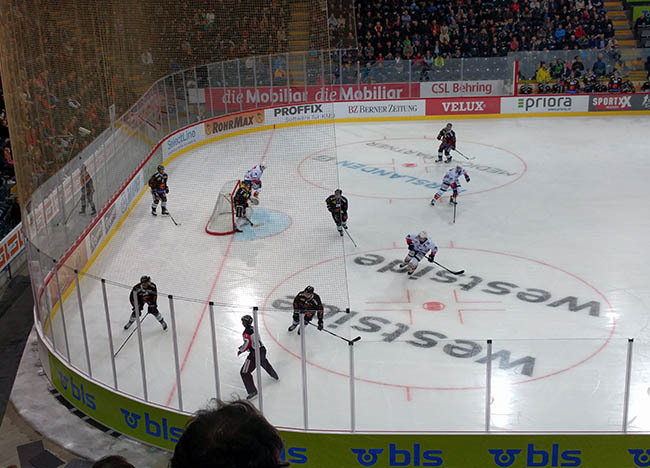 After flying across the Atlantic, seeing the town, watching a hockey game, and partying it up, I took my second day in Bern a little slower. I’d found a recommendation online for a pretty church to visit outside of town, so I thought I’d check it out. 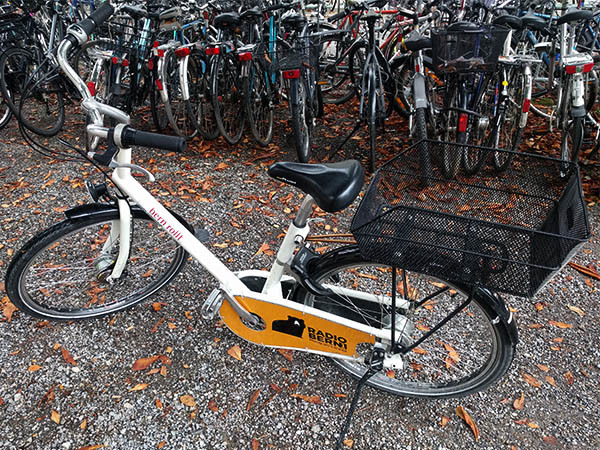 Among other amazing amenities, Bern has free bike rentals. Leave an ID behind and you can have a bike for half a day, which is a sweet deal. Like most northern European cities, Bern was very bike-friendly – but not the hectic chaos of Amsterdam. 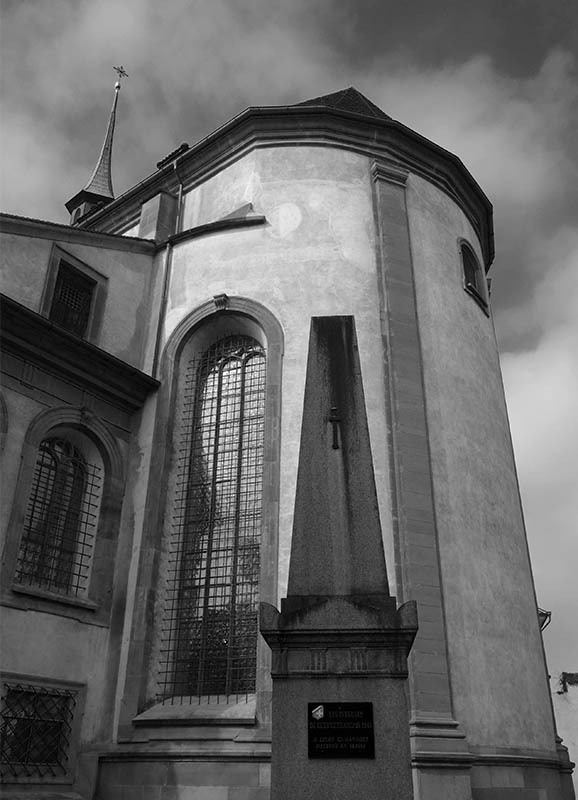 This church garden, way outside town in Bremgarten, was certainly further than I expected. I’m not gonna lie, I cursed a few times under my breath, because the ride was incredibly steep… or I was incredibly out of shape. Either way, I was exhausted when I rolled down the gravel path to the church. It was just a little wooden building, surrounded by a cemetery. But the cemetery was hands-down the most beautiful I’ve seen. 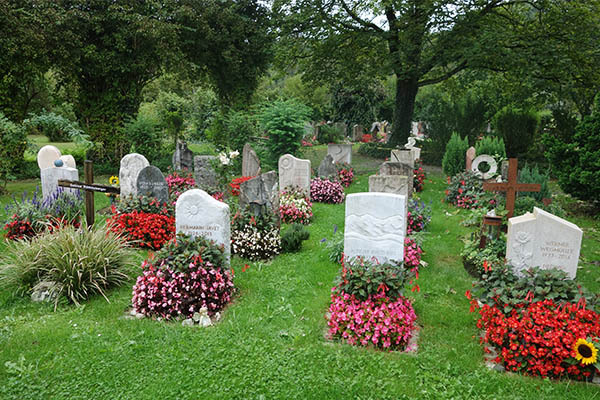 Each grave had a bed of flowers in front of it, so it was basically a garden, and the whole thing was cute and cozy. There were even a few cats around. If it weren’t for the rain, I would have stayed a lot longer. With the rain threatening, I returned back. The ride was steep both ways! I had to stop a few times, even on the lowest gear, because it felt like I was going straight up. 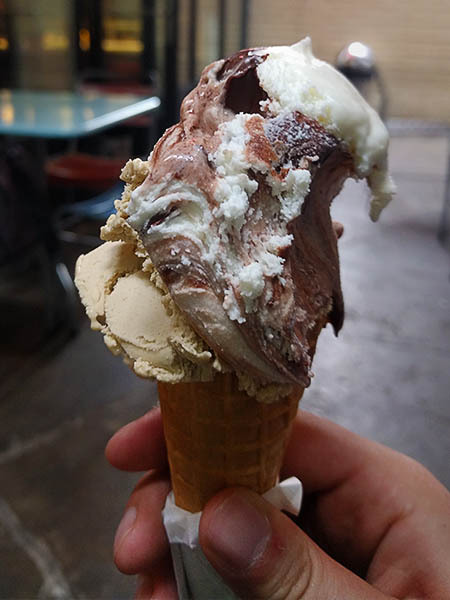 My next destination was a gelatto place I’d heard recommended, Gelateria di Berna. Delicious, and I think it was a fitting reward for a few hours of hard riding. 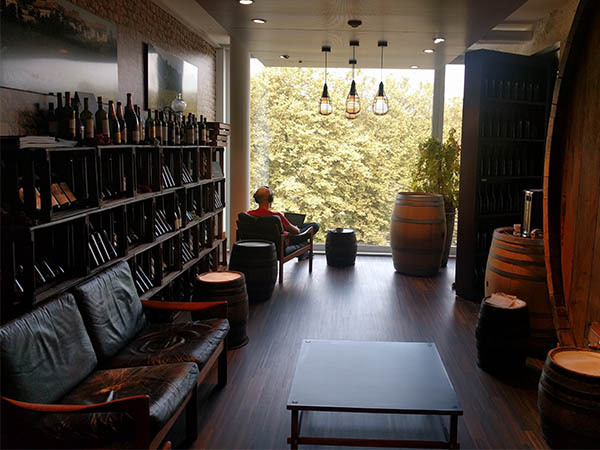 Like many of the stores and restaurants in Bern, this was in a homey little nook. Sehr gemuetlich! I dropped the bike off disconcertingly early, considering the amount of effort I thought I’d put in. Now there were a few more places I wanted to see downtown, such as the parliament of Bern. 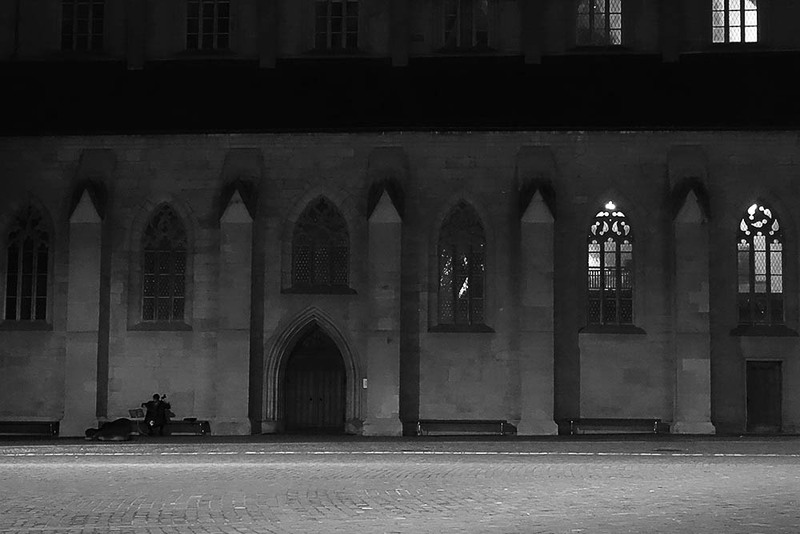 I also wanted to see the Muenster, the main cathedral downtown – it’s one of the main landmarks of the city. Actually, it was closed for a concert, and I figured, what-the-heck – let’s get a ticket. It was a school choir, but they were pretty good, and accompanied by professional musicians (including some Brazilian dude who played lute). 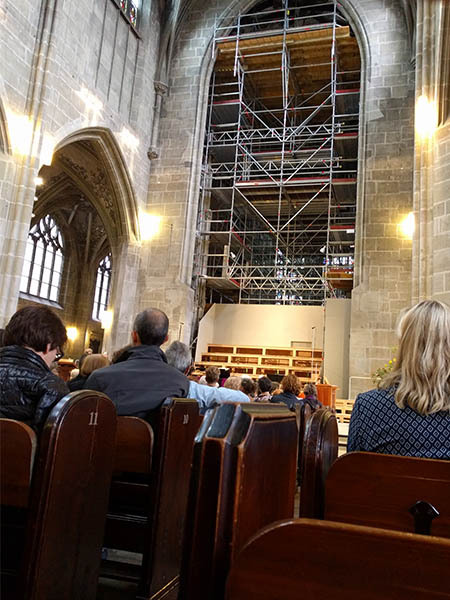 The theme was a history of Bern & religion through music, so they did musical pieces from various periods dating back to the early middle ages, intermixed with narration. It was pleasant, but I understood none of the narration. There was even a scene where the director and a few musicians pretended to be drunk monks. The crowd ate it up! But the best part, and a complete surprise to me, was seeing an Alpenhorn. 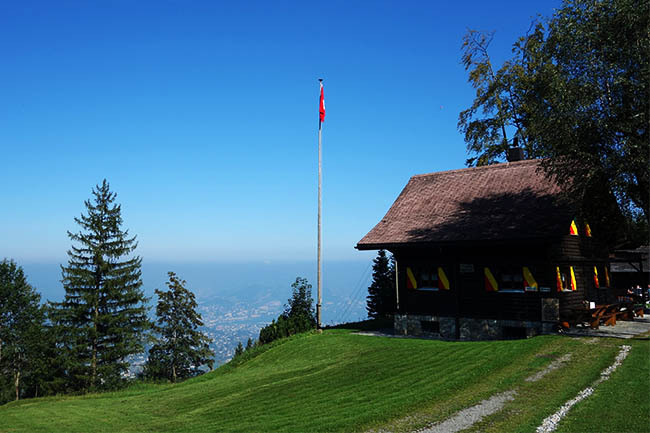 I couldn’t have asked for a better opportunity – hear the horn not in a tourist shop, but surrounded by Swiss. And the guy playing it was on scaffolding way up behind the stage (you can see the scaffolding in the photo above, he was on a middle level). 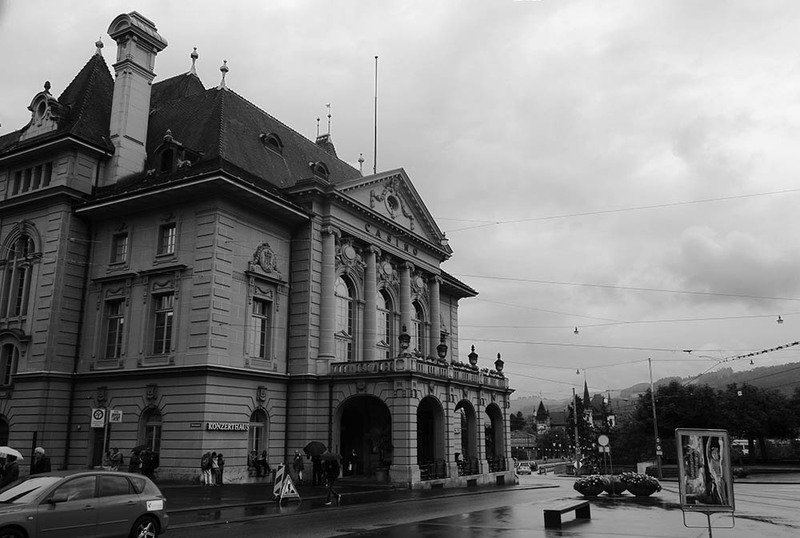 That was pretty much my Bern experience – I spent the evening reading through a light rain. I arrived early the next morning in Zurich for work. This entry was posted in Switzerland on April 15, 2017 by rob. 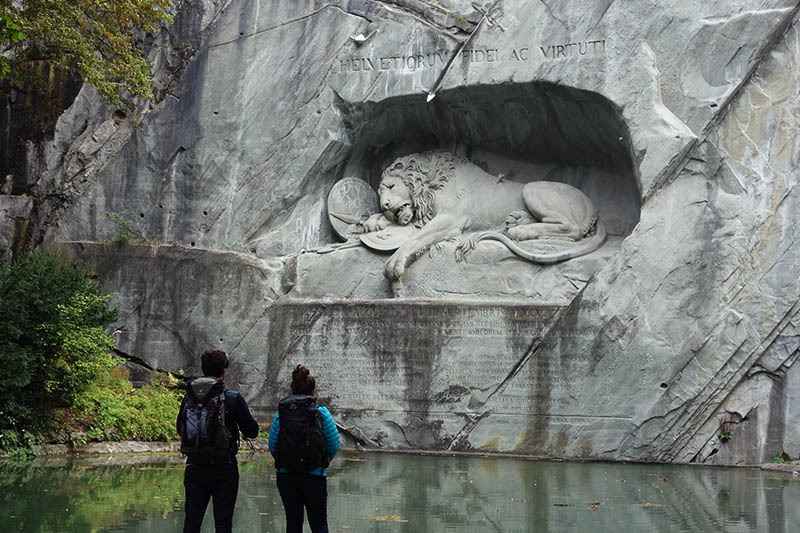 In the fall of 2016 I had the opportunity to visit Switzerland for work. I’d be spending a week there covered by the company, but I extended my trip with stays in AirBnBs on both weekends. 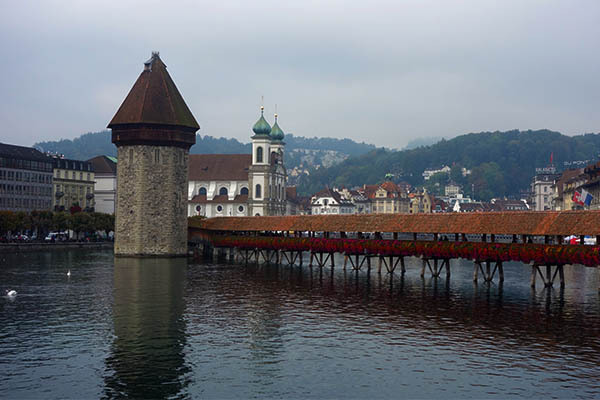 Luckily, Switzerland is small enough, with a diverse set of cities, that there was a lot to see without much travel. 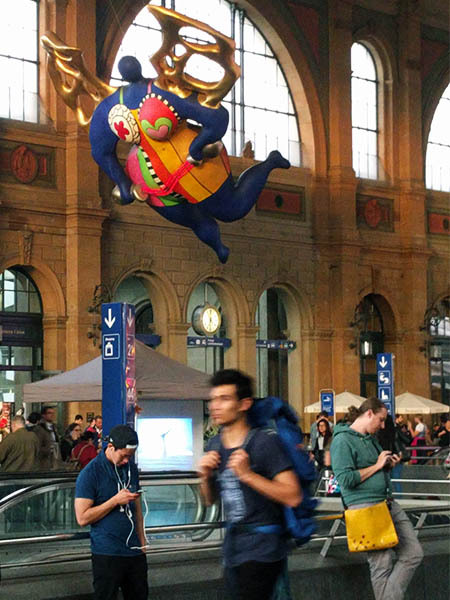 I would fly into and out of Zurich, and technically spend the most time there, but upon arrival I immediately took a train to Bern. 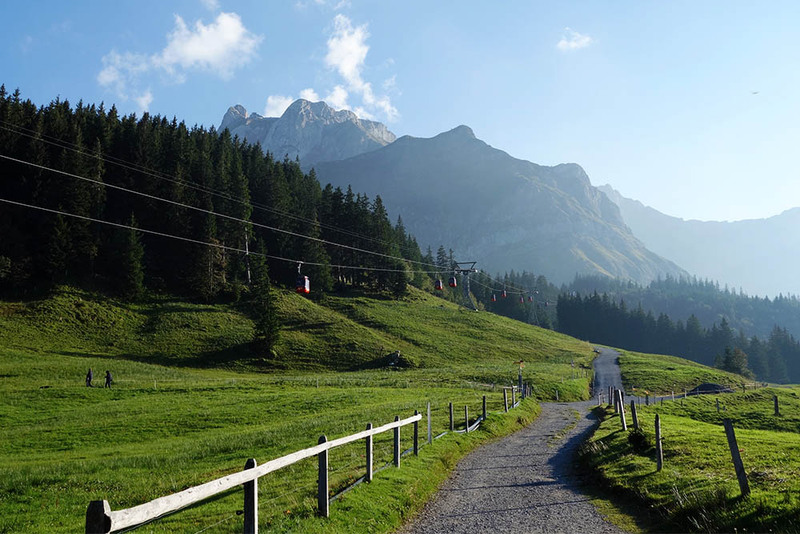 I chose Bern simply because it was close, large, and because I’d seen some pretty pictures of it (cities that I considered, but which didn’t make the cut, were St Gallen, Interlaken and Grindelwald). 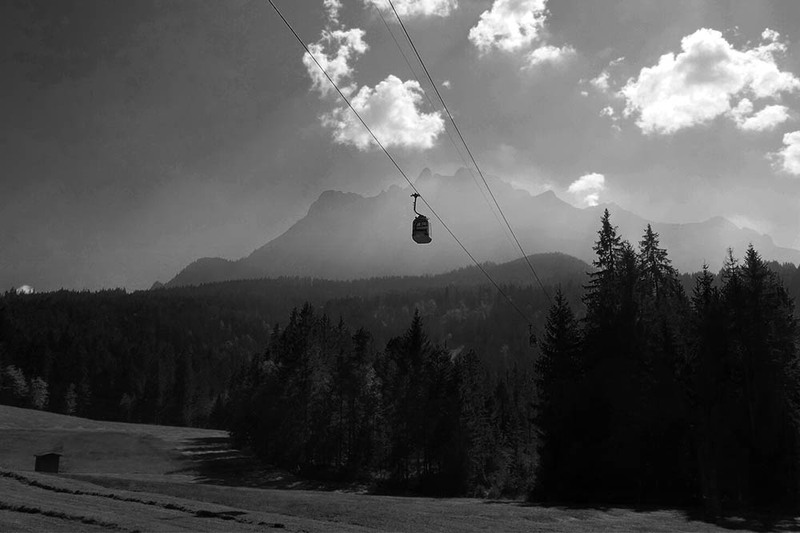 It was my favorite place in Switzerland. 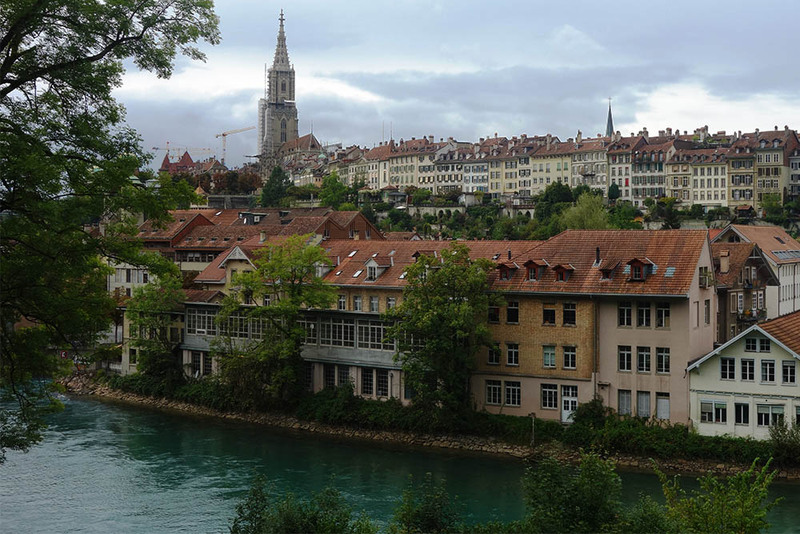 Bern is the de facto capital of Switzerland, and has about 600k people (for comparison, Zurich has 1.8 million). I felt like the city had all the amenities (public transit, walkable downtown) you’d expect in a northern European city, but was also set in a great landscape, and with friendly people. As soon as I got into the city, I checked into my AirBnB, a private room and surprisingly cheap in the center of the old town, a UNESCO site (view from street). I was sandwiched between a church and a cathedral, with a beautiful view from a roof deck. 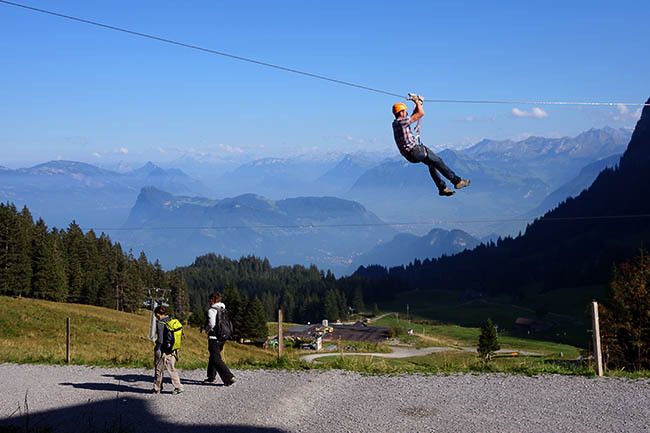 My hosts were wonderful as well – a couple about my age, originally from Bern. When I checked in they said they were attending a birthday party that evening and I was welcome to stop by. 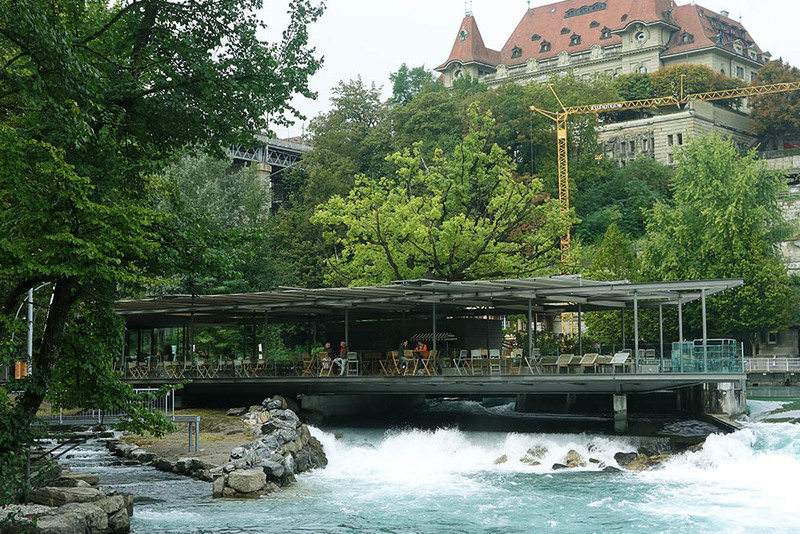 I wanted to hit the ground running and see the big sites of the city: I only had a weekend there before heading to Zurich. The old town, a peninsula bounded by an oxbox turn of a river on three sides and rail tracks on the fourth, is pretty small, and very steep. Hungry from the overnight flight, I grabbed some snacks: vegan gummy bears and Rivella. 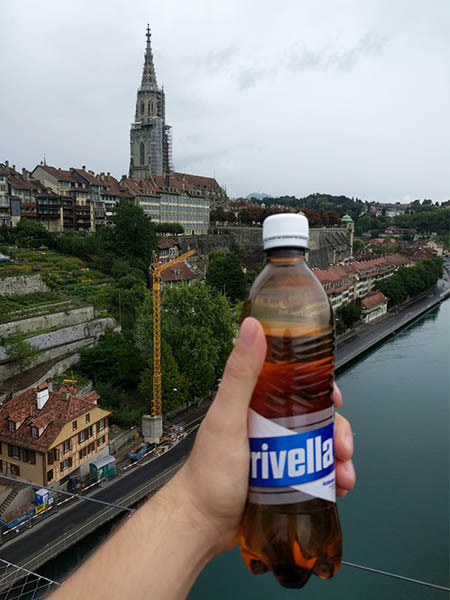 Rivella is a whey soda that I heard was de rigeur in Switzerland; I enjoyed it, but I guess it’s not really that popular. I made my way across the river, and walked along the southern bank; there a forested trail snaked its way along the water, rewarding me with a beautiful view of the city. 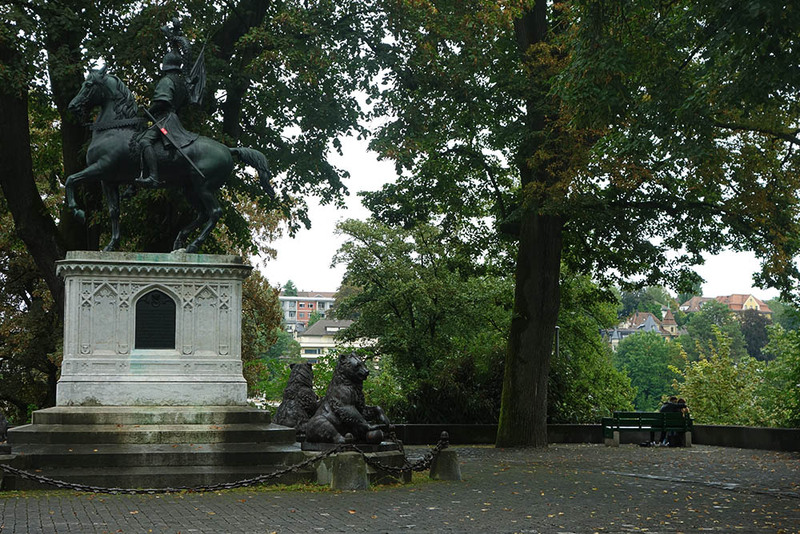 At the end of this trail were the ‘bear pits,’ a free zoo with a few bears (which give Bern its name – Bern is German for “Bears”). These weren’t really pits, just an outdoor zoo exhibit on the side of a cliff; the bears also had a section of river to swim in. I enjoyed it as a quick easy diversion from the city. 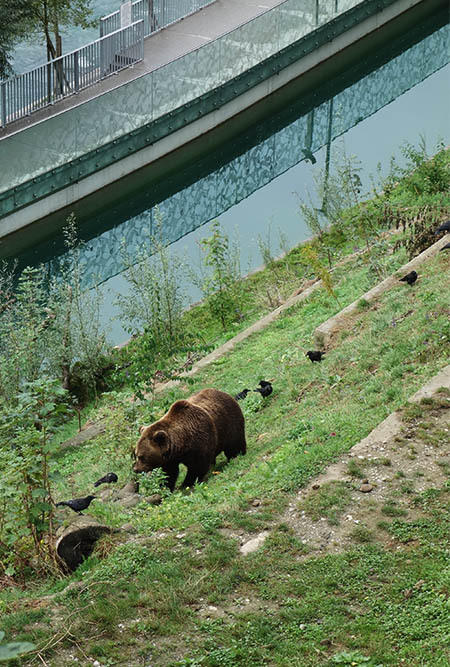 It’s literally a park in the city with bears, what’s not to like? 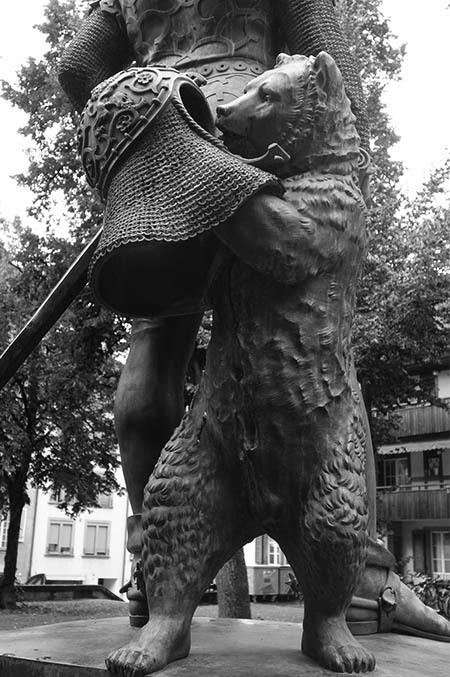 Bern really takes the the bear seriously: it’s the heraldic insignia, and there are statues of bears slurping honey and displaying armor around the city. I covered pretty much the entire city center over the course of the day. I wasn’t a huge fan of the architecture style – too much similar limestone everywhere, in the kind of Georgian style I don’t particularly like. But the city layout and culture was great. There’s a peculiar street arrangement to this part of the city, with fairly wide streets and then sidewalks with overhanging buildings, essentially making it feel like a mall with an open street in the middle. I’ve rarely seen this elsewhere. There’s some old clocktowers and similar sights downtown, which I found a little underwhelming; I think the charm of the city is not in its architecture. 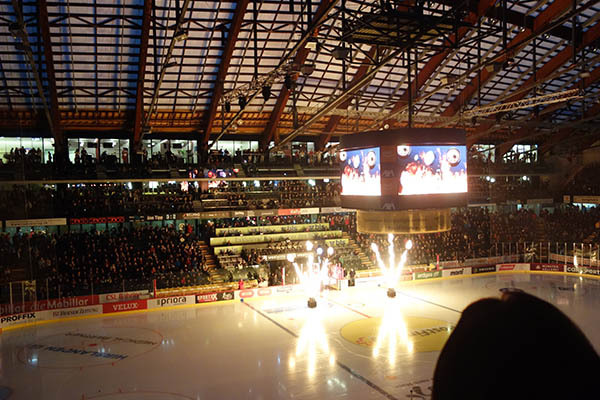 In the evening I wanted to attend a hockey game; hockey is one of the major sports in Switzerland, and Bern has both the largest stadiums and one of the best teams (they won the 2016 season). There were fireworks, cars driving around the ice, big drums; it felt like going to a soccer game at one of the more involved MLS cities (such as Portland), because although large the stadium only fits 17k people. There were great supporters clubs and so on, but as it got increasingly late, and with little scoring, I left early. Walking back into the city proper I could hear crowds roaring from inside. Turns out I missed 3 goals at the very end of the game! Can’t win ’em all, I guess. I’d also left early to check out this birthday party, and I’m glad I did. 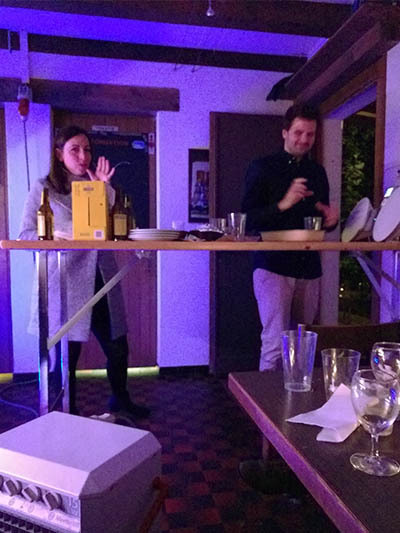 The party was still in full swing when I got there – perhaps 15 Swiss in a little boathouse down by the river. There were three parties in a row, each a block away, and as luck would have it, they were the third. Once I got settled in, it was a good time. They had beer and the brother of one of my hosts had started a liquor company, producing a kind of liquor called Ingwerer (German for “ginger-er”). 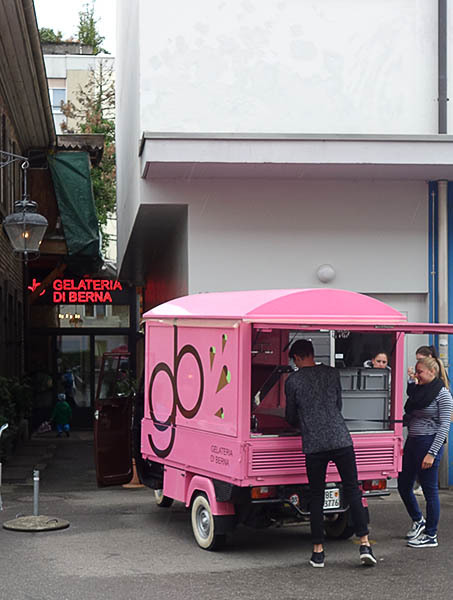 Really great stuff, and apparently popular throughout Switzerland. The boathouse was cute and cozy, and everyone made sure to make me feel welcome. Party! (This was at the end when I finally remembered to take some pictures, so it’s kinda random). In fact this was one of my better experiences spending time with foreigners; everyone naturally spoke amazing English. We talked a bit about politics (they were aghast about the US election, this was two months before the results came in); life in Switzerland (very nice – it’s expensive there, but this means that even those with low-paying jobs can travel through Europe; and it’s centrally located); life in Bern (sounds like a city with great quality of life; every summer they take the train upriver and tube back into town on the Aare river). Towards the end of the evening, we played a sort of charade/noun-guessing game, and they played it in English… some of the words were just ridiculously obscure, I was impressed with how well everyone spoke English. 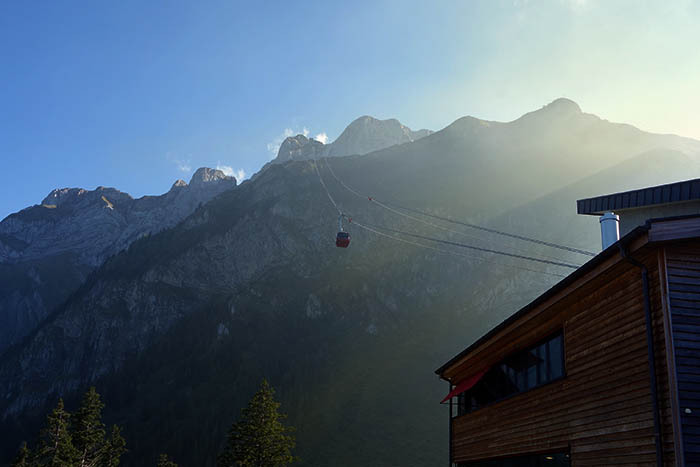 All in all, it was a great start to my time in Switzerland. This entry was posted in Switzerland on April 9, 2017 by rob.